Order in next 13 hours and 35 minutes for despatch today. 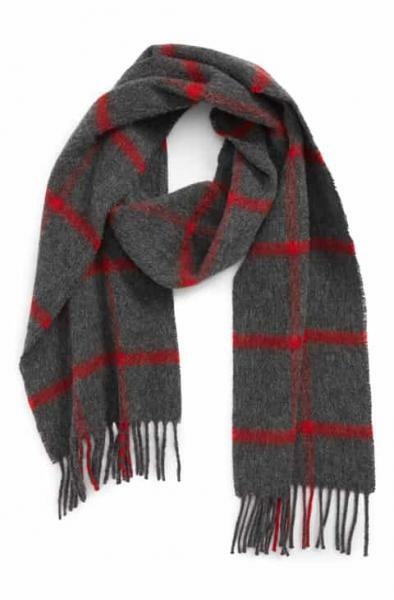 Barbour Bradford Tattersall Lambswool Scarf in red grey or forest. Barbour Bradford Tattersall Scarf comes in three collourways; red, grey or forest green, each one beautifully complementing the Barbour range of jackets. This scarf has a tasselled fringe, Barbour branding and measures 180cm x 25cm. It is made from 100% lambswool and should be handwashed only.SALE!